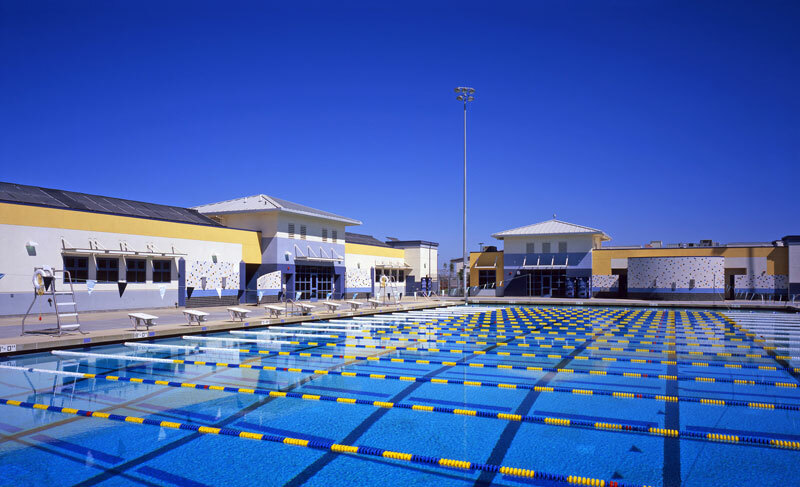 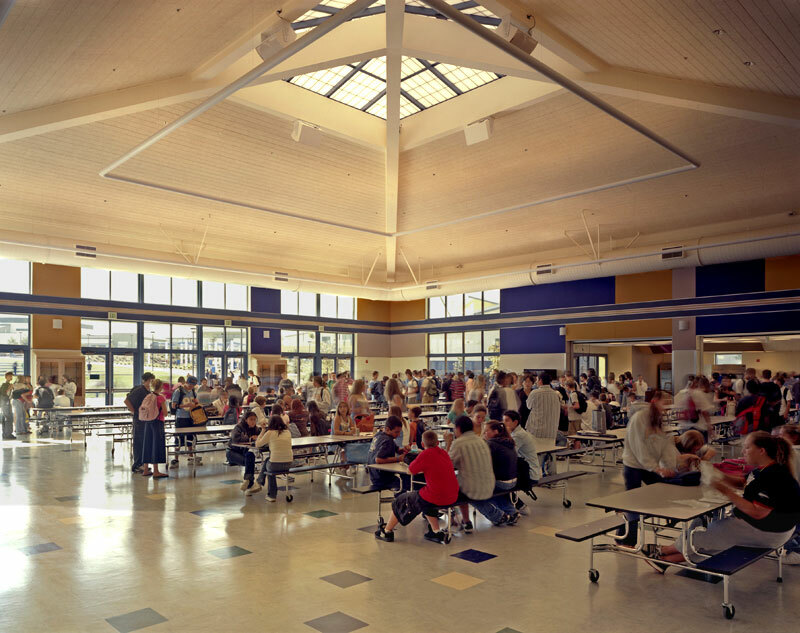 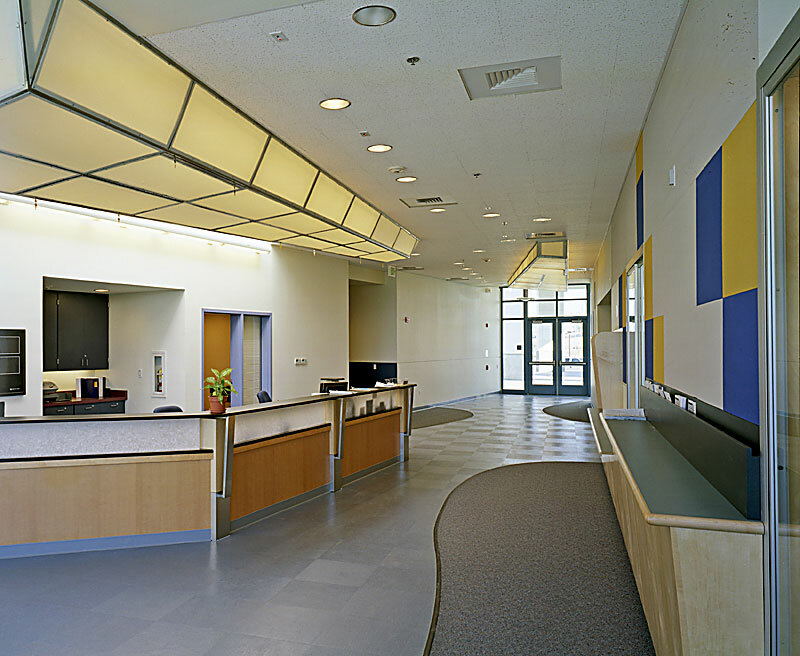 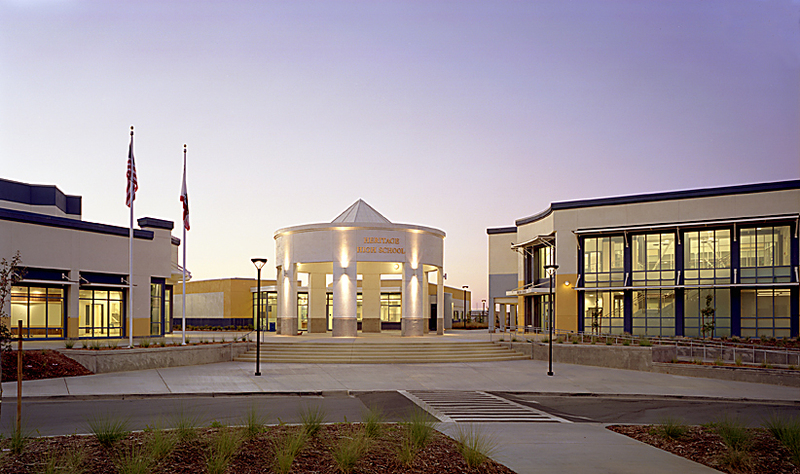 This new, high-tech, 245,000 square foot, full service high school campus has been provided with every conceivable modern high school amenity and system. 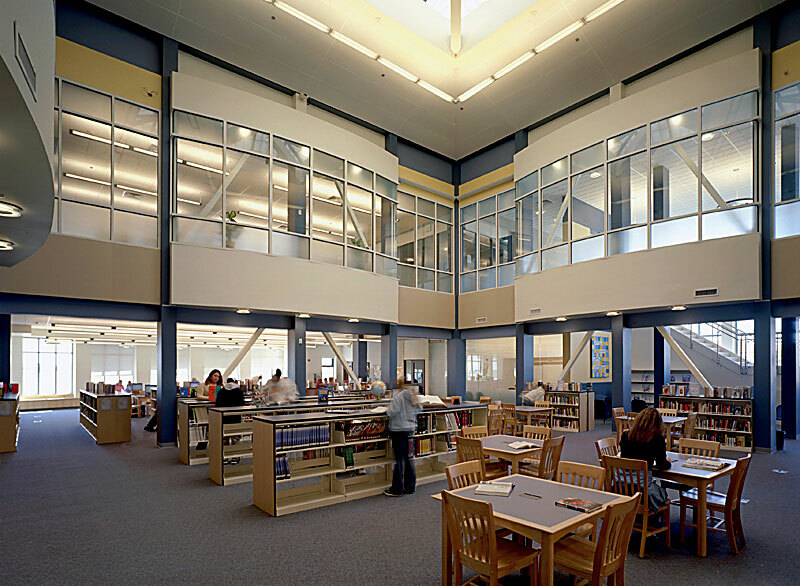 Specialized academic buildings of environmental science and engineering technology; conventional science labs (biology, chemistry and physics); health and recreation, law, government and public safety, as well as an extensive administration building; multi-story library, two gymnasiums, multi-use concession and auditorium buildings. 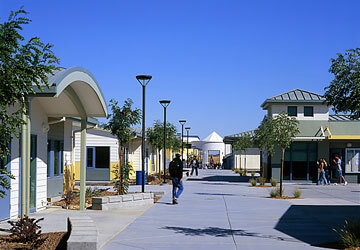 Multiple lighted tennis courts and multiple modular classroom buildings. 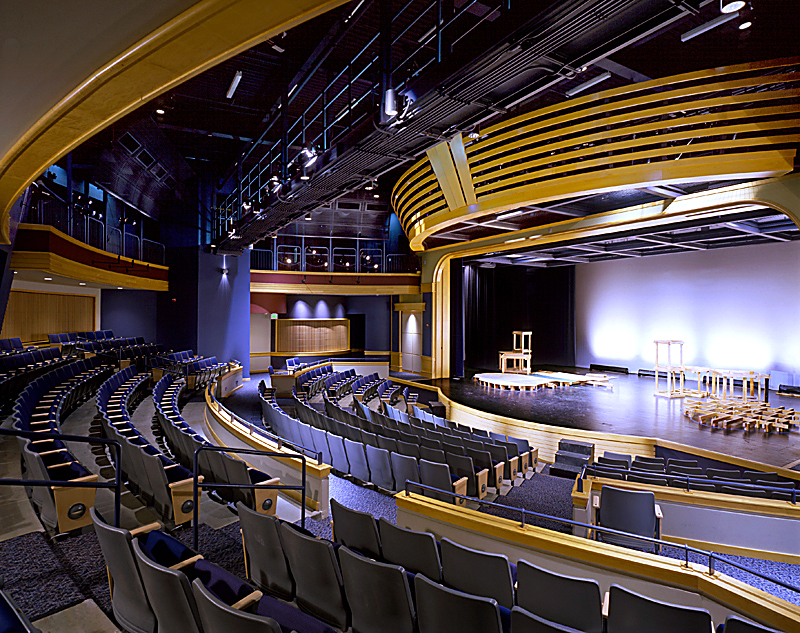 The entire campus is provided with tel/data cabling infrastructure, an extensive networked programmable lighting control system, the latest in exterior and interior illumination systems and controls, a modern performance stage-lighting/dimming system for the performing arts theater, and much more. 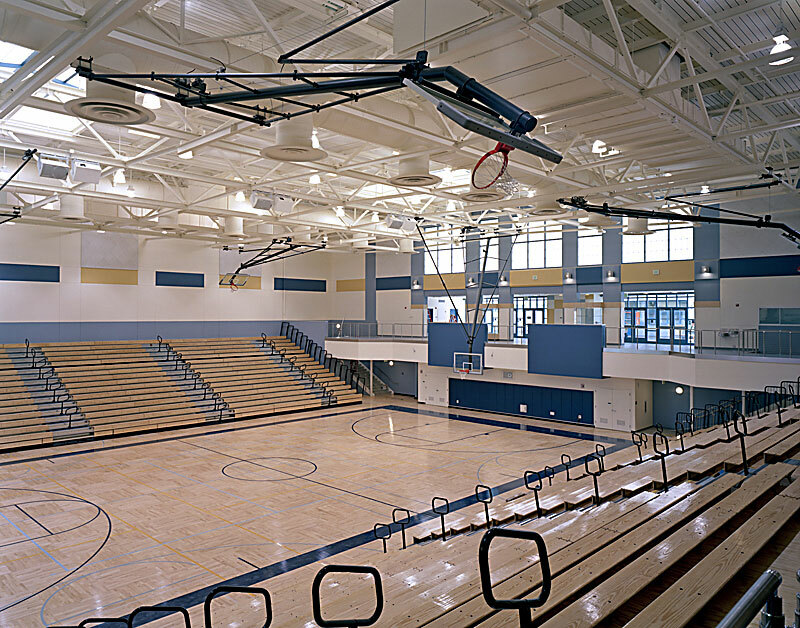 The large 2,200-seat gymnasium includes north wall and roof top diffuse natural lighting to reduce dependence on artificial lighting. 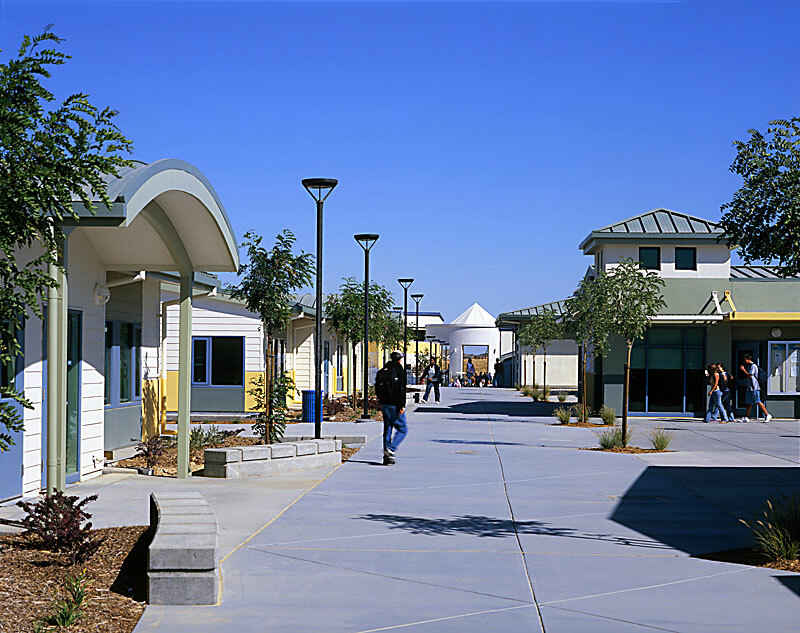 Use of sustainable materials, abundant daylight, views and sun shading are integrated into the school's design.